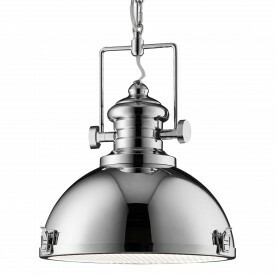 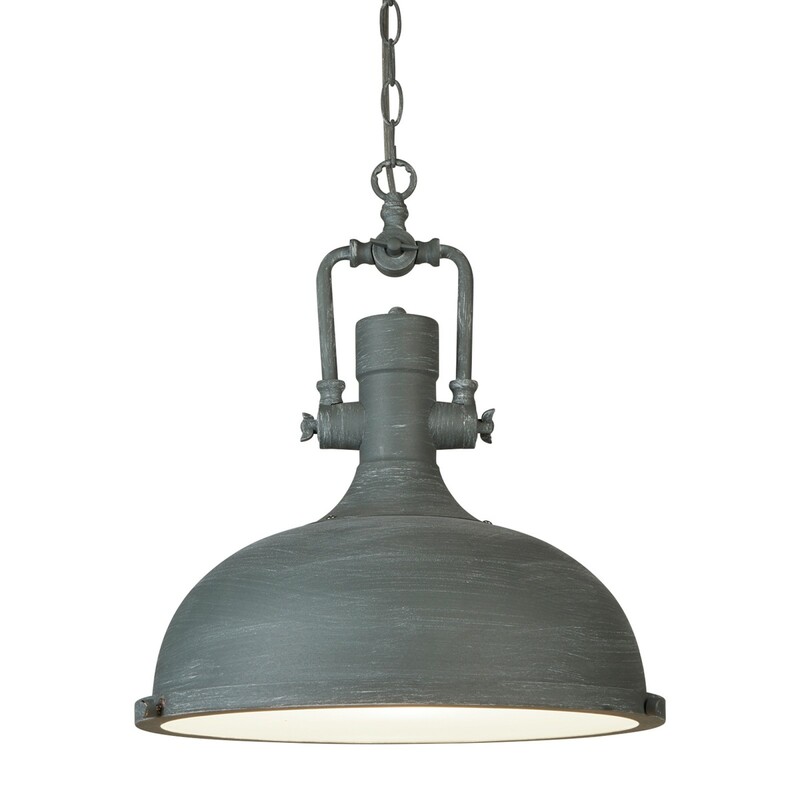 This industrial style pendant features a cement finish and frosted glass, which suspends from a sturdy chain. 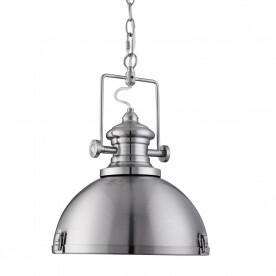 A discrete white striped finish adds a simple and minimalist detail to the item. 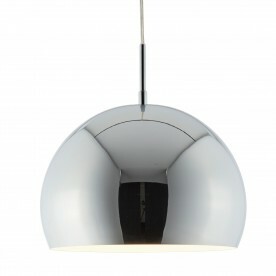 The body of the light ends with a large circular opening that is perfect for providing ambient light. 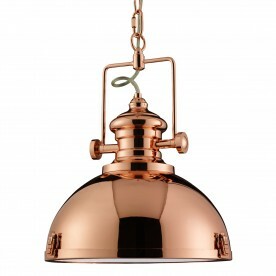 Place in your kitchen if you are seeking a contemporary update.